FIRST CLICK HERE SIGN UP FOR A PRIME ACCOUNT, THE INSTRUCTIONS ARE IN THE SECTION BELOW to Sign up for a new Prime Membership Trial, there is NO CHARGE!! 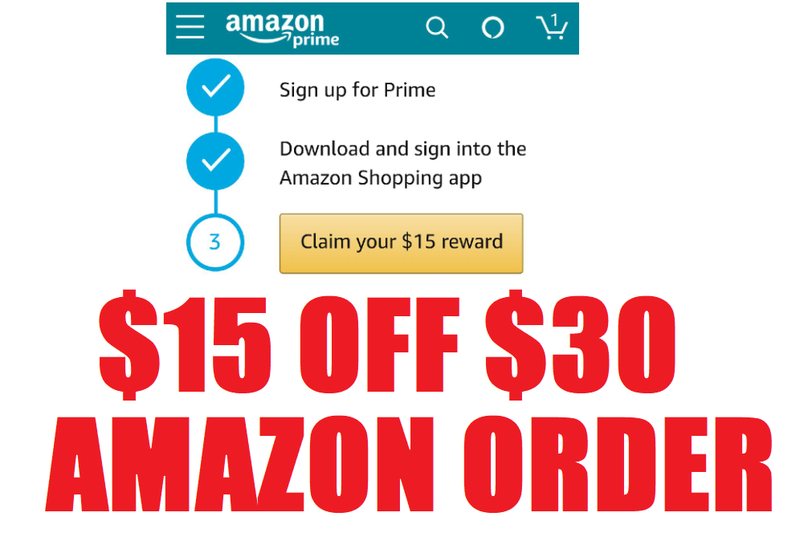 You will see the offer for the $15 coupon. Apply the coupon and shop! $15 Will Show automatically at checkout, there is no coupon needed. MAKE SURE YOU COMPLETE THE STEPS BELOW AFTER YOU SIGN UP TO TURN OFF AUTO RENEWAL RIGHT NOW. That means you won't have to cancel anything later! Don't worry that it says you are cancelling now. You will get the full 30 days before it cancels on it's own.